Children learn language from hearing it, and they start this process basically at birth (although some would argue that they begin even BEFORE birth, since studies have shown that babies can hear their parents voices in the womb sometime around 18-20 weeks gestation and newborns can actually recognize their mothers voices!). Even at birth, their little brains are taking in all the sounds of his/her language and storing this information for later use. Infants, toddlers and young children, then, are learning language from the people they spend their time with. This can be grandparents, siblings, and caregivers, but of course the people they spend the most quality time with is their parents. They are constantly listening, analyzing, and storing what they hear until one day they USE IT! Language is not learned in a bubble. 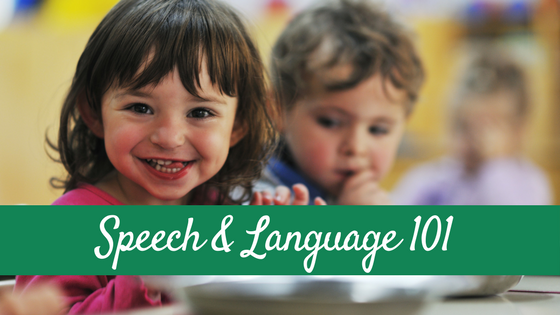 A young child cannot possibly get enough language stimulation from an hour a week speech therapy session. As I say all the time, the child’s parents are the BEST “interventionists” when it comes to language development. 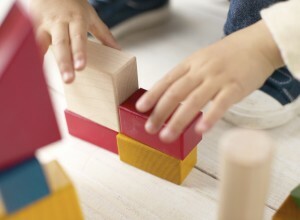 I see my role as an SLP working with young children to help teach and guide the parent to use the best strategies to help their child based on the child’s specific needs. 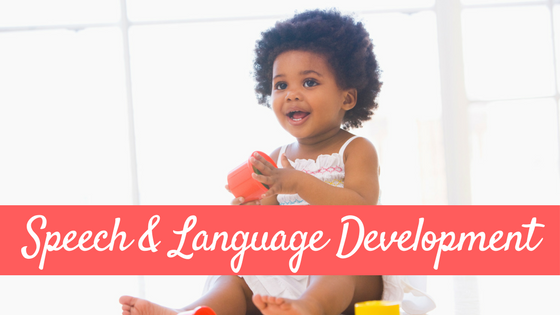 So, what can you, as a parent, do to help your child learn language? 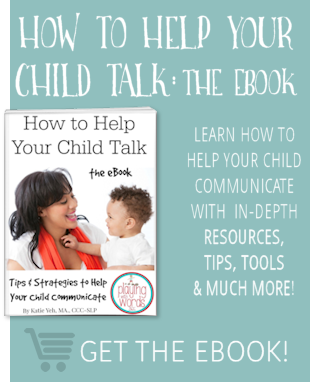 I am going to share a few strategies with you that can be used to help your child learn to talk. 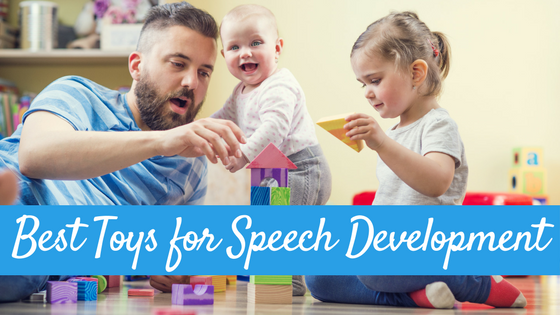 The following strategies can be used with children who have no spoken words or have many spoken words. Baking cookies can be a language learning experience! Self Talk: This is when you are using short sentences to talk about what you are seeing. hearing or doing when you are with your child. 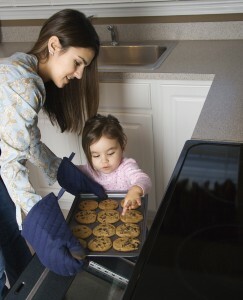 For example, when you are making cookies you may say “Mommy is making cookies! I am putting the chocolate chips in the batter! I am stirring. I am going to put them in the oven” and so on. Have you ever been in the store and seen a person talking and talking to themselves until you realize that they have a baby strapped to their chest? (Or maybe you have been the one blabbering on to your infant in Target and gotten ‘the looks” from people thinking you are crazy 😉 ). That’s self talk! Now, this self talk for some people comes naturally and for others, they need to make an effort to do it. 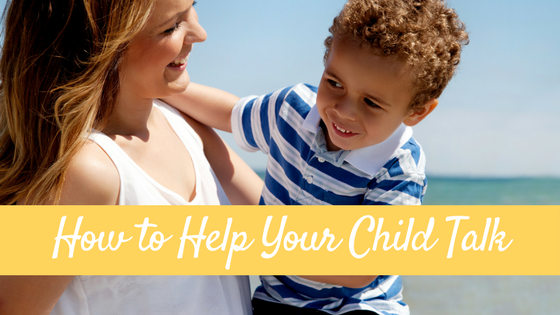 When should I start using these strategies with my child? From BIRTH! Seriously, you should start using these strategies from the time you bring that ball of joy into your life. Your child does not need to have a delay to use these strategies. Like I said, parallel talk and self talk come naturally to many parents and they do these instinctually early on, which helps their child to learn language naturally (usually people who are more verbal to begin with). That said you are not a bad parent if these strategies do not come naturally. Some people are quiet, shy, or are more visual vs. auditory/language and therefore may need to remind themselves to use the strategies. How often should I use these strategies? This is important…you want to find a balance here. If you are CONSTANTLY talking your kids ear off, it may be too much language and your child may start to just tune you out. I recommend using these strategies on and off throughout your day with your child. Make sure to let your child explore his/her world “on his own” without narration sometimes and provide opportunities for your child to talk back to you (if he/she is speaking yet). Thank you so much for offering all of these strategies in one easy to read place! I work with families of children with disabilities and sometimes need a little inspiration when I get stuck! I am a PhD student of special education at the University of Tehran, Iran. behavior problem in this population? Thank you for your time, and I am looking forward to hear from you. My son will be four tomorrow and really doesn’t say too much he is also attending Speech every Tuesday he can say ma da ya ba that’s bout it but he understands everything we tell him. He is very smart and I know he can talk I’m just worried that I don’t do enough to help him he know animal’s colors shapes. Would just like someone else’s opinion on what I could do to help him further I feel like its not enough of what I’m doing now thank you for any help I can receive. 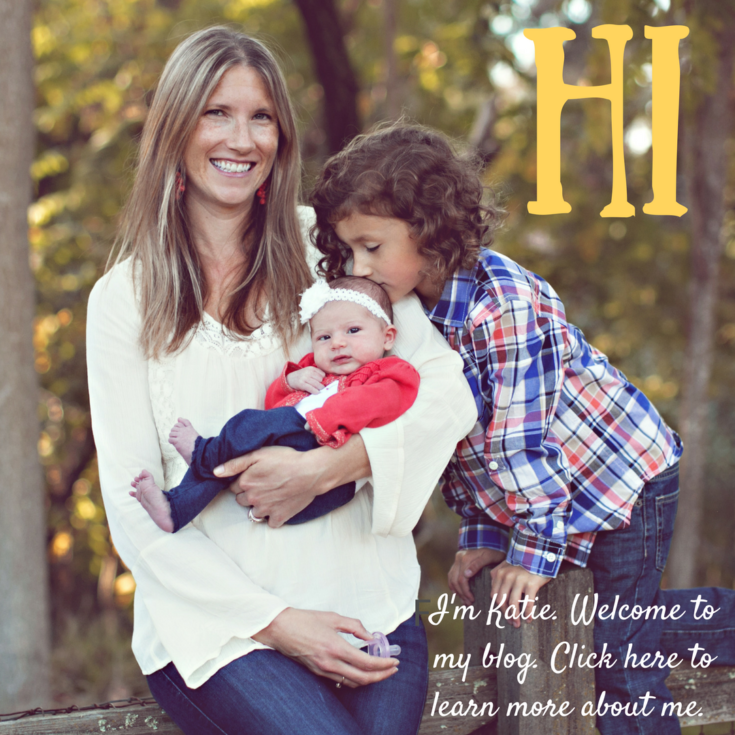 Katie, thanks for all you’re doing for our field and for families! Love your site!